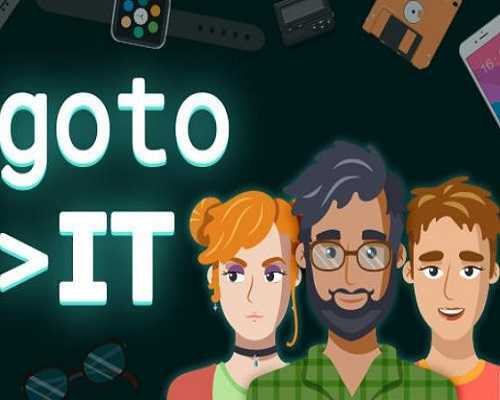 Go to IT is a Casual, Simulation and Strategy game for PC published by Black Deck Crew in 2019. Start controlling companies and running startups! This is a business simulator in which you can experiment with different strategies for managing a large company, as well as for a small startup, and even solo freelancing activities. Have you ever wanted to run your own software company? Go to IT is a business simulation game with a multitude of parameters to manage and meaningful choices to enjoy. Build your company and bring it to the top, surviving almost 30 years of software industry ups and downs. For the goal achieving, you should pass through different epochs, be the historical events witness, and solve different management problems. After completing these challenges, your company will be the market leader. The game has no some kind of main antagonist or global threat. Like in all these kind simulators the threat to the player is the environment, and his main enemy is himself. We recommend Go To IT at least because it has high variability and gameplay isn’t tied to any particular subject area like gamedev or blockchain industry. Also about blockchain: for connoisseurs, the game has a built-in trading system, both cryptocurrency, and fictional companies shares. Special attention for the character creation variability. Choose your corporate strategy. In-house projects or outsource? Tight deadlines when stakes are high or playing safe while missing on profit? Manage the entire project lifecycle. Implement methodologies and techniques: test-driven development, refactoring, pair programming. Build your processes and test them against market reality. Loans, investments, recruitment, buying development tools, setting up an office. Challenging decisions await. Additionally to hard skills, each employee has soft skills and personality. A highly qualified person, who is always late and not really willing to learn? Or jack-of-all-trades, punctual, but lacking motivation? Choose wisely while recruiting and assigning tasks. 0 Comments ON " Go to IT PC Game Free Download "